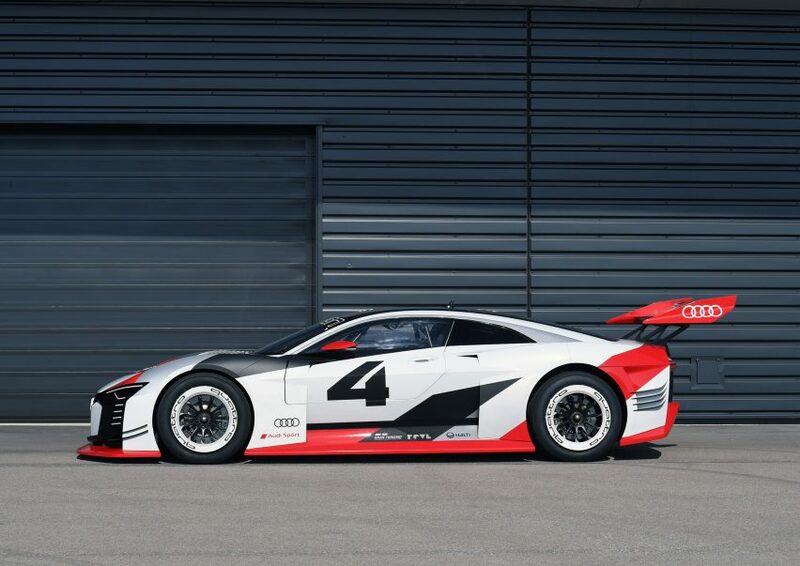 Audi has transformed a virtual car design taken from video game Gran Turismo into a real-life racing vehicle. 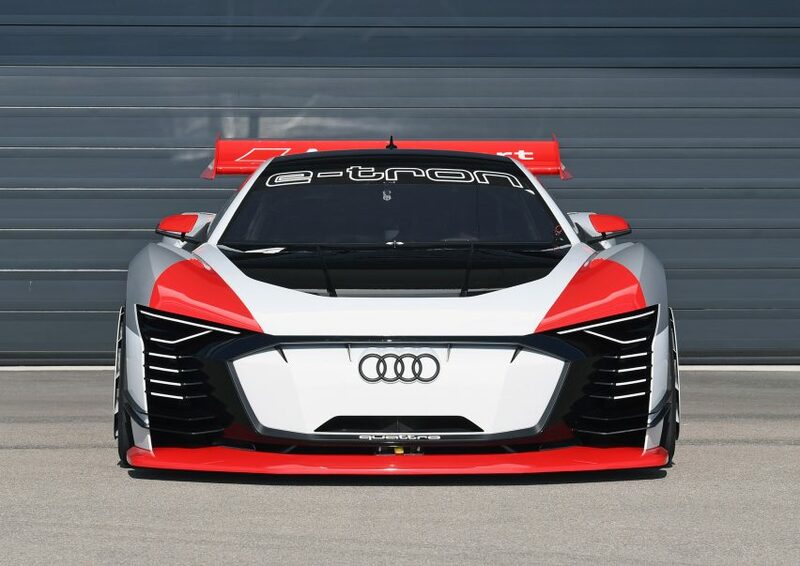 Named the Audi E-Tron Vision Gran Turismo, the all-electric car was conceived as part of Vision Gran Turismo – a challenge set by the game’s producer for manufacturers to design cars for virtual races. “Originally developed exclusively for virtual races on PlayStation 4, Audi is making the new race car reality in conjunction with Formula E,” said a statement from the German automaker. The all-electric concept car will be debuting at the Rome Formula E race this weekend, 14 April 2018, when it will be used as a race taxi to transport Audi’s guests. Launched in 2012 to celebrate the 15th anniversary of the game’s launch, the Vision Gran Turismo challenge has led to many car makers designing virtual two-door racing cars – known as grand touring cars. In 2013 Mercedes-Benz was the first manufacturer to create a design for the series, a sports car with gull-wing doors named AMG Vision Gran Turismo. Since this date, the challenge has been taken up by many of the world’s largest car brands including Honda, McLaren, Mercedes, BMW, Volkswagen, Nissan, Aston Martin and Toyota. Several of these concepts have also been developed and built as full-scale models to be shown at motor shows. 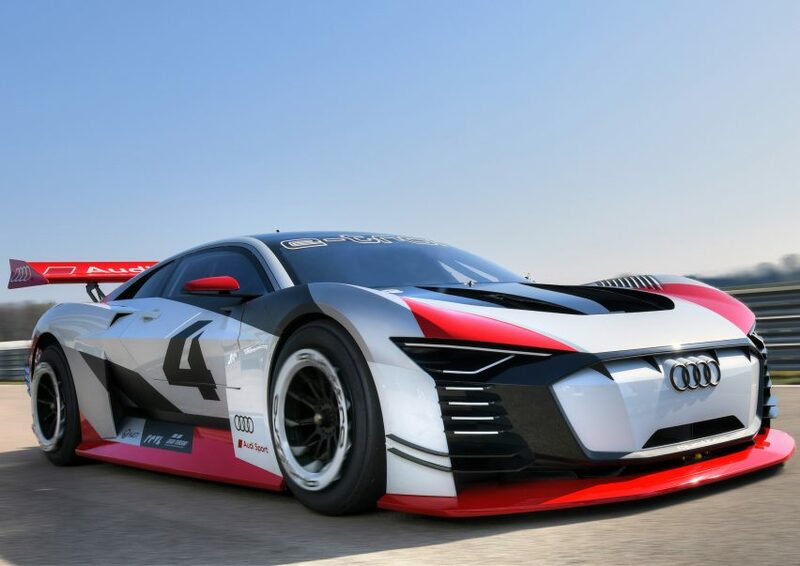 However, Audi claims that this vehicle is the first car created for Vision Gran Turismo that will run on actual race tracks as a fully functional vehicle. “Although the design of a virtual vehicle allows much greater freedom and the creation of concepts, which are only hard to implement in reality, we did not want to put a purely fictitious concept on wheels. Our aim was a fully functional car,” said Audi’s chief designer Marc Lichte. 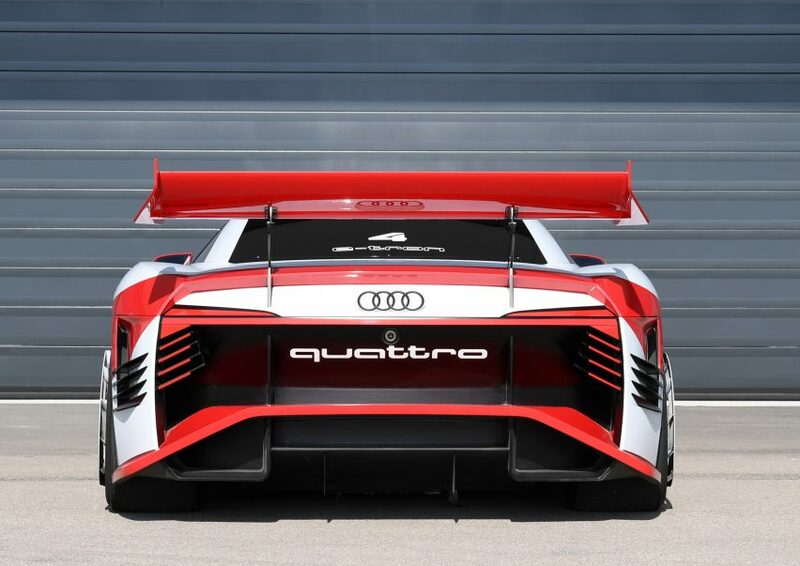 The car takes design cues and its colour from the legendary Audi 90 Quattro IMSA GTO, which first raced in 1989. Like the former racing car the E-Tron Vision Gran Turismo is largely coloured red and white, however, the two-door concept supercar has much sleeker lines than its predecessor. The rear of the car features a large spoiler, also derived from its racing heritage. It was partly built using individual components from Audi’s future E-Tron and is powered by three electric motors, two on the front axle and one on the rear. Two versions of the virtual car, an all-electric and hybrid, will be available in the game this month. Audi currently produces several hybrid vehicles and is working on an all-electric car. Back in 2015, the German manufacturer announced that it is adapting gesture-control technology used in the gaming industry to make its vehicle design processes more efficient.